Certain times of year can bring overwhelm to homeschoolers. But honestly, overwhelm knows no bounds. Overwhelm can strike any time. 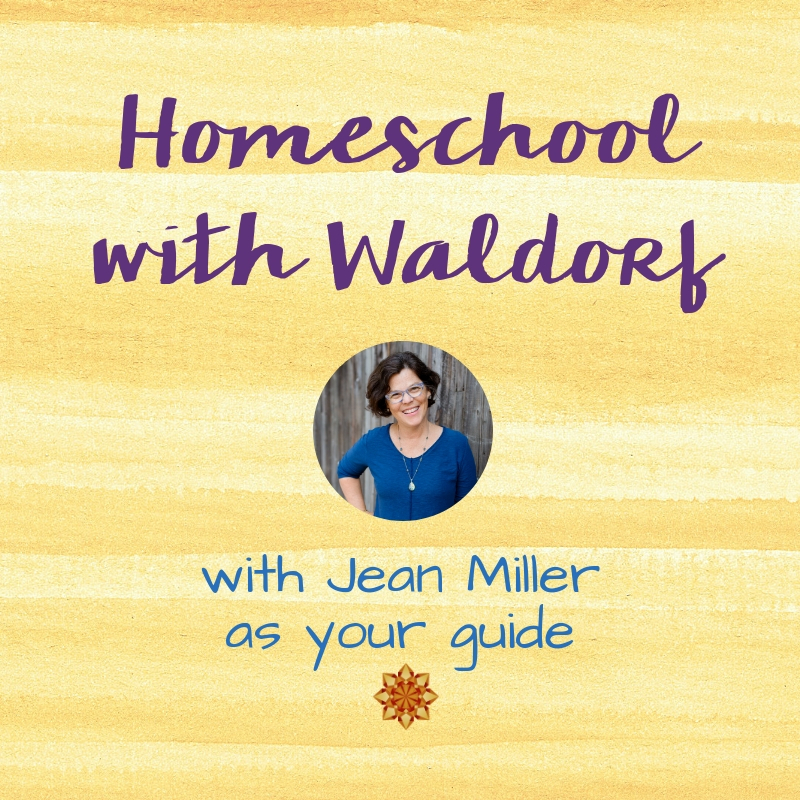 Today, I offer you the overwhelmed Mom’s guide to Waldorf homeschooling. Perhaps you’re coming off holidays, or transitioning to a new season. Or you have a sense of seemingly endless materials you need to prepare. Maybe you simply checked a Facebook post and suddenly feel that you don’t measure up to other Moms who look like they’re able to do it all. 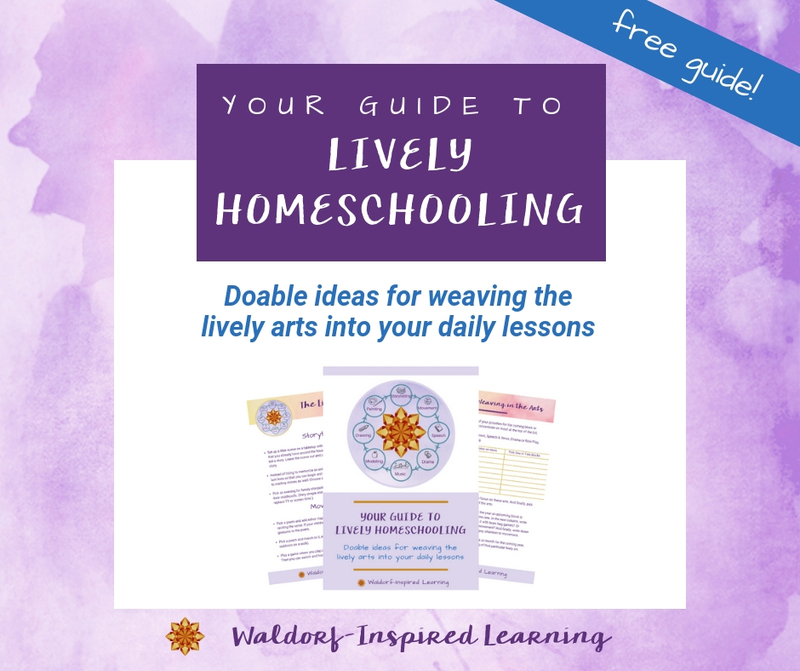 I have six specific ideas to share with you to help you feel reassured rather than intimidated by Waldorf homeschooling. If things aren’t working right now, don’t be afraid to simplify and scale back until you have success. Then add in one small thing at a time. Really and truly, less can be more. 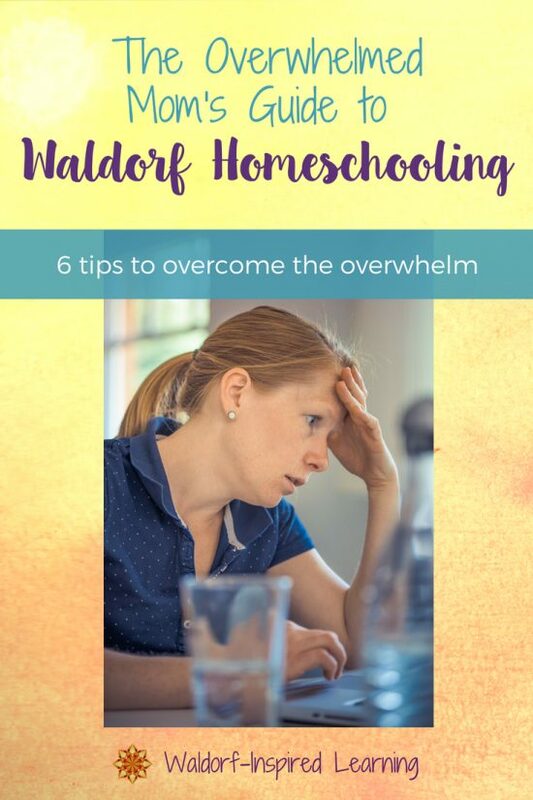 When we try to do it all, all at once, it can be much harder to sustain Waldorf homeschooling over the long haul. But if you look at this as a long game, you have months, even years to bring all of the arts and hands-on activities to your children. Start small to increase your chances of success. Waldorf homeschooling is not the same as a classroom at home. Don’t make that mistake. Some days might seem unproductive. There will be dirty dishes, laundry in your learning space. There may even be yelling. (My friend Sheila says, “there will be yelling.”) But remember, showing up and being present is the starting point. Waldorf schools and classrooms aren’t perfect either. We only see them that way in our minds. 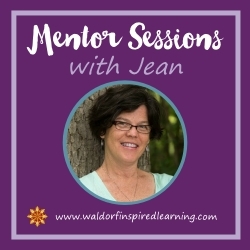 In fact, many of my one-on-one Mentor Session client and participants at the Taproot Teacher Training come because they have recently pulled their children out of a Waldorf school. There are pros and cons of both the classroom and homeschooling. Embrace where you are right now. Stop the searching and comparing. Find one book of stories for your next block and use that. Choose which of the seven lively arts to bring to the block with the stories, and you’re ready to roll. 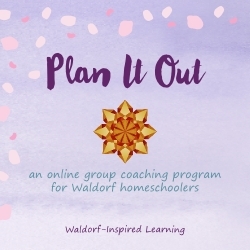 Join a wonderful group of Waldorf homeschoolers in my group coaching program, Plan It Out. 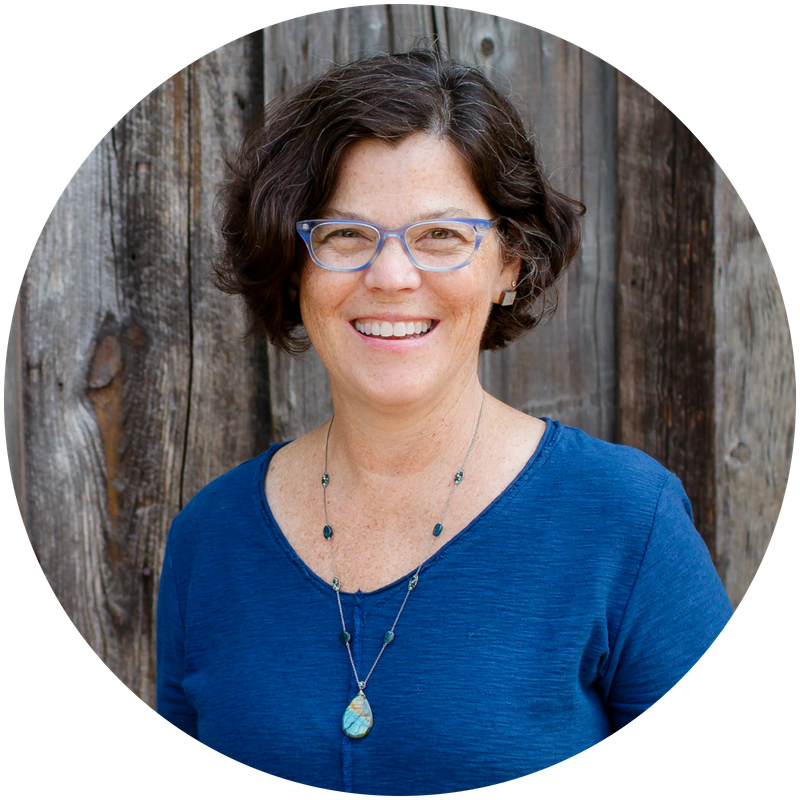 I can help you create your own unique curriculum plan in just six steps. Starts June 3, 2018. Self-care isn’t selfish. And it isn’t an add-on for when you have extra time. (Because you won’t.) Self-care helps you prepare yourself for parenting and teaching. So that you can show up and be fully present for your children. Be gentle and kind to yourself. This Waldorf homeschooling + parenting may well be the hardest work you’ll ever do. This may take a lifetime of work. But it’s OK wherever you are right now, right this second. Accept that. No shame, no guilt, no despair is going to help. Just accept yourself, and learn to love yourself for who you are. Know that your children chose you. Or if you don’t buy that, at least know that you are bringing them all that they need right now. There’s beauty in imperfection. That’s what makes life so interesting. The Waldorf approach is built upon Rhythm, Child Development, and the Lively Arts. When you create a strong foundation for yourself, you have something to fall back when things go awry. Build a strong rhythm in your home, create a simple plan, and don’t forget about self-care. And you will be well on your way to overcoming the overwhelm. I can help! 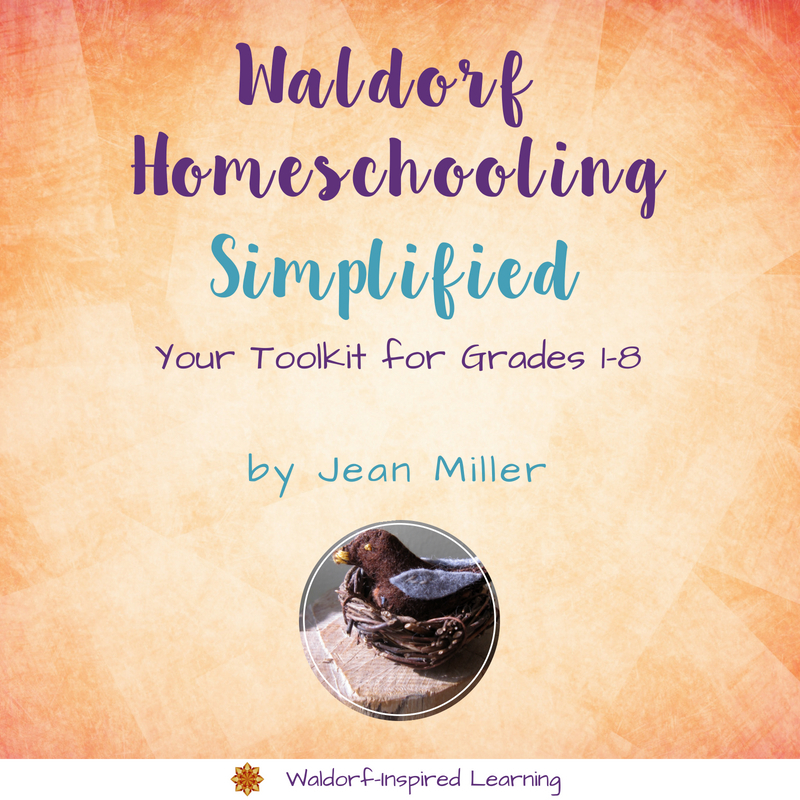 Get my guidebook, Waldorf Homeschooling – Simplified. 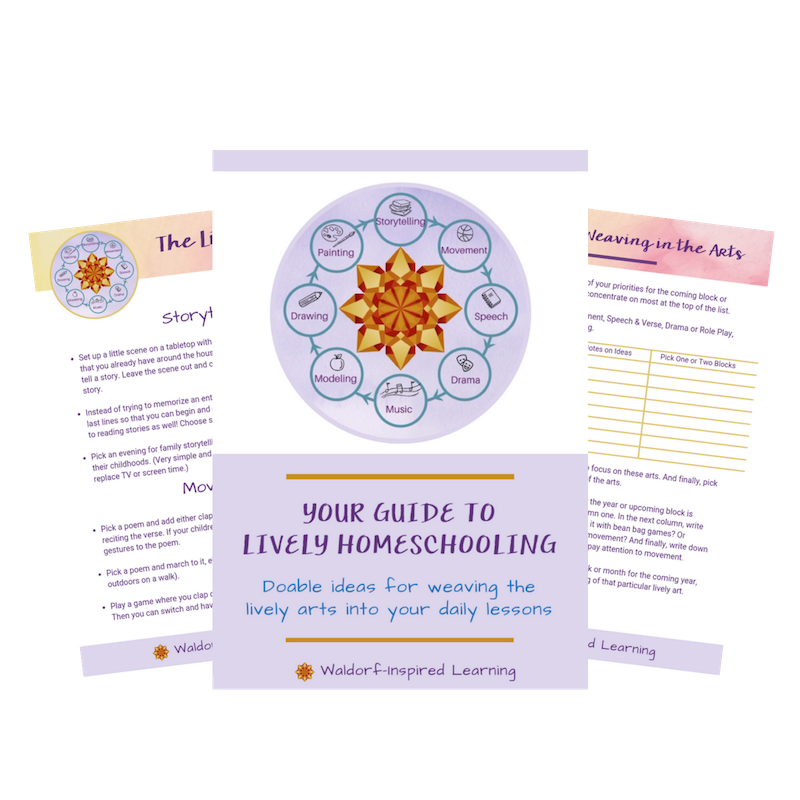 And learn how to build your own strong foundation for your homeschool. Jean, thanks! And thanks for sharing your great posts every week!